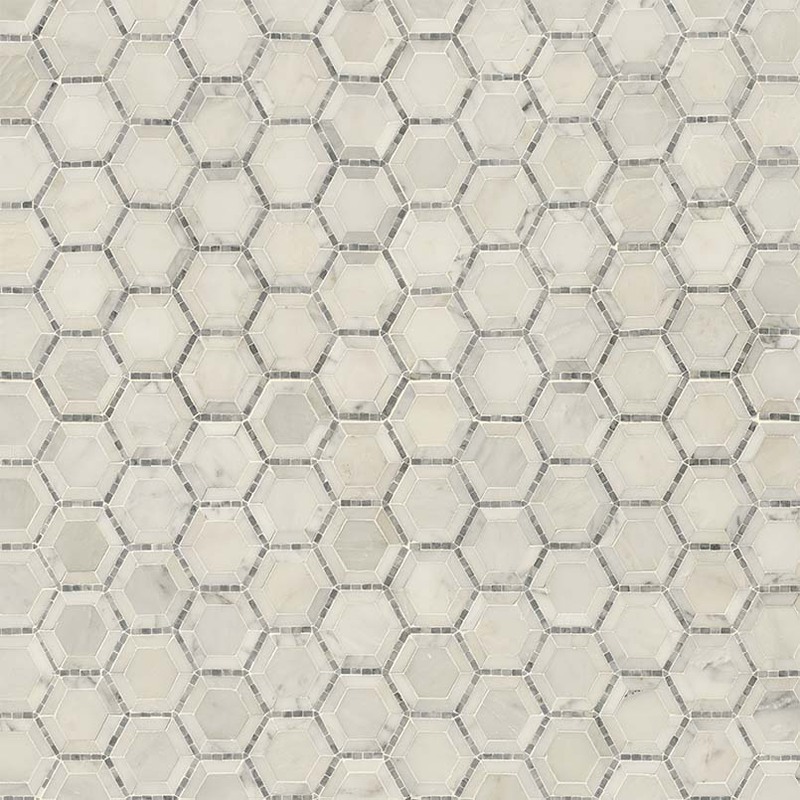 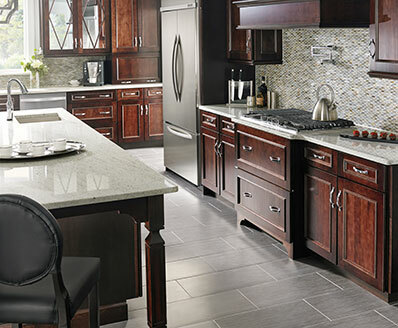 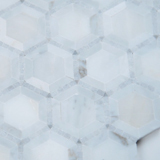 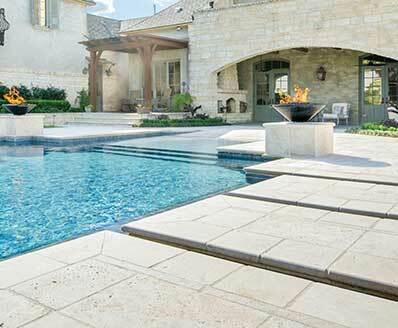 The intricate 2-inch hexagon design of Telaio is a refreshing twist to traditional mosaics. 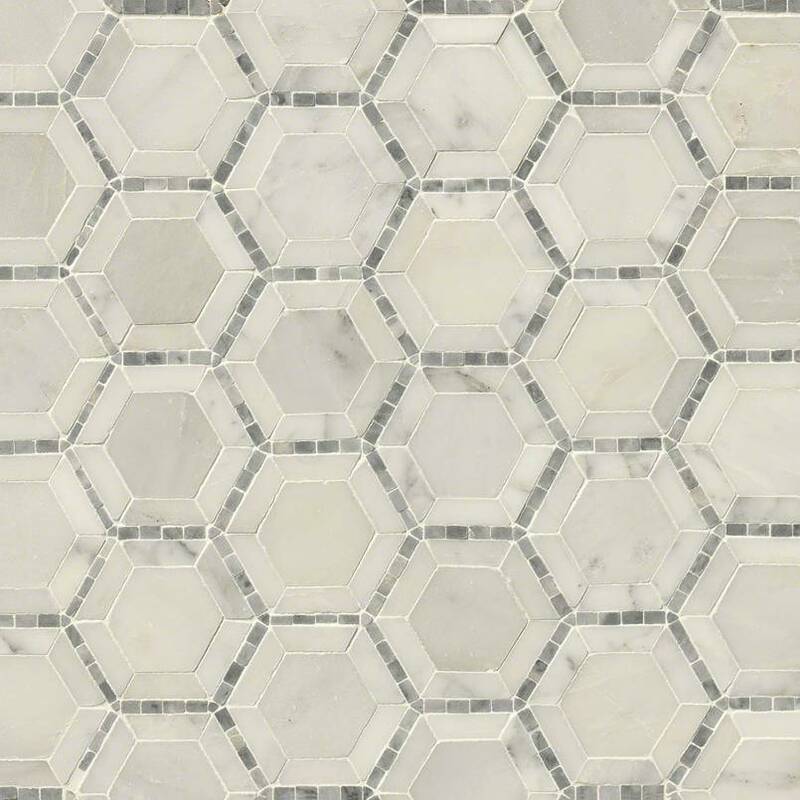 Featuring white honed marble with mini gray accents, this preset mosaic looks great on walls but is durable enough for countertops and floors as well. 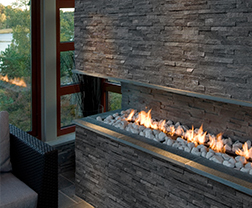 Telaio can also be used with confidence on walls and light traffic commercial settings.